Jenna Hollenstein, MS, RDN, CDN, is a non-diet dietitian who helps people struggling with chronic dieting, disordered eating, and eating disorders. She uses a combination of Intuitive Eating, mindfulness techniques, and meditation to help her clients move toward greater peace, health, and wellness. Jenna’s private practice is located in New York City where she consults with clients in person and virtually. Jenna is a Registered Dietitian Nutritionist (RDN) and a Certified Dietitian Nutritionist (CDN) in New York State. She has a Bachelors degree in Nutrition from Penn State, a Masters degree in Nutrition from Tufts University, is a Certified Intuitive Eating Counselor and an Open Heart Project meditation guide. In 2018, Jenna joined the board of The Center for Mindful Eating. 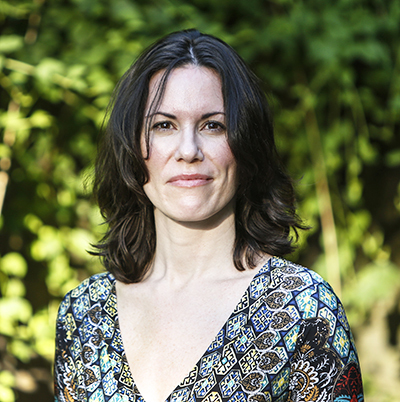 Jenna teaches at mindfulness retreats in the United States and France. She has been featured in U.S. News & World Report, Health, Mindful, Vogue, Elle, Glamour and Fox News. Jenna is the author of Understanding Dietary Supplements, a handy guide to the evaluation and use of vitamins, minerals, herbs, and botanicals for both consumers and clinicians, and the memoir Drinking to Distraction. 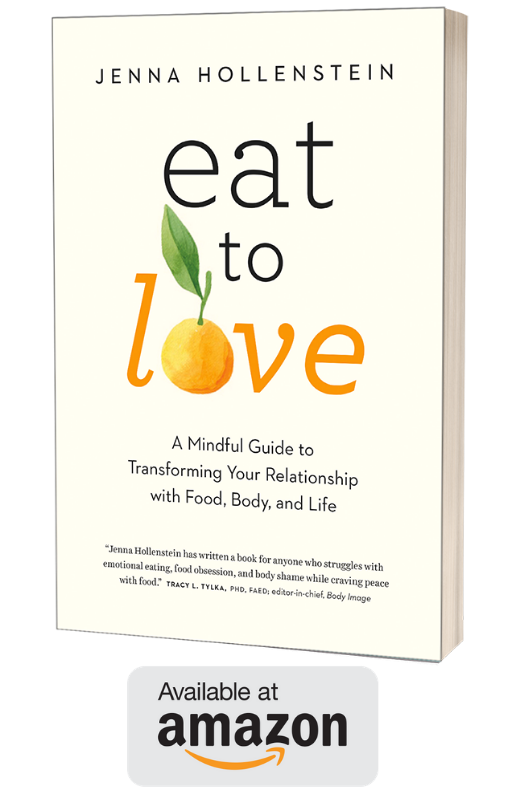 Her third book, Eat to Love: A Mindful Guide to Transforming your Relationship with Food, Body, and Life, will be released in January, 2019. I’ve been a dietitian for nearly 20 years but for most of that time I worked as a medical and science writer and editor. You see, despite my science-heavy education at some of the best nutrition schools in the country, I wasn’t confident that we (dietitians) were providing people with accurate information that could truly improve wellness. How eating and exercise affect our health is a fascinating and extremely complex area and even some of the most well-controlled scientific studies turn up non-reproducible or conflicting results. So rather than working as a dietitian in one traditional capacity or another, I chose to spend some more time around the people trying to find the answers. At the same time, I was dealing with my own disordered eating. Growing up, I was thoroughly steeped in the diet culture and tried everything from Jenny Craig to Weight Watchers to just eating everything ‘Lite.’ I never questioned the idea that a smaller body was more healthy and preferable than a bigger body, despite the fact that mine did not fit the desired mold. Fighting against the reality of my body therefore became a way of life that I accepted and eventually strove to share with others as a dietitian. But something held me back. I realized that no way of eating or exercising, no mind-altering substance, no number on the scale or on the little tag in our jeans will bring us happiness, peace of mind, or freedom from suffering. We need to cultivate the ability to turn toward ourselves and our actual experiences – good, bad, and in between – in order to discover that capacity. We need to stop looking outside of ourselves for happiness and guidance and shift our allegiance to our own internal wisdom. Drawing on my experiences of giving up an addiction, of cultivating an attuned way of eating and exercising, and practicing the most simple breath-awareness meditation technique, I created Eat to Love. It’s a nutrition practice that helps people redefine what fullness means in their lives by drawing on Intuitive Eating, mindful eating, Health At Every Size, Buddhist meditation, and therapeutic approaches to addiction.